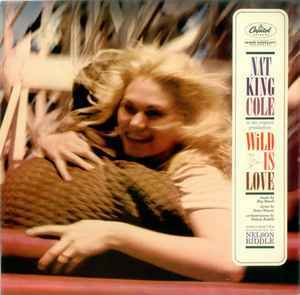 Wild Is Love is a 1960 concept album by the American singer and pianist Nat King Cole, arranged by Nelson Riddle. The album chronicles a narrator's attempts to pick up various women before he finds love at the conclusion of the album. The album formed the basis for an unsuccessful musical, I'm With You, that starred Cole and was intended as a potential Broadway vehicle for him. A television special also called Wild Is Love resulted from the album, and was shown in Canada in late 1961. The television special was not shown in the United States until 1964 due to the brief presence of physical contact between the African American Cole and a performer of Canadian European descent, Larry Kert, that was seen as offensive by commercial sponsors.